The short seller’s dream article had intraday trading for SBA down almost 9%. Although the Dow plunged 391 points yesterday, losing 2.39%, tower stocks saw on the average over double that decline. UPDATE, Jan. 19, 2016 – Deep diving industry expert Ken Schmidt has provided a detailed analysis of why Re/code’s “improper deductive reasoning” in their article doesn’t dovetail with available information regarding Sprint’s Next Generation Network. The story, published on Jan. 15, 2016, claimed that Sprint would be relocating its cell sites from American Tower Corporation and Crown Castle International’s towers to government-owned structures as part of their cost-cutting initiatives. The radical network architecture change was picked up by national media, news services and all industry media at face value, and through robo journalism continues to be re-published as an accurate carrier plan in social media and daily newsletters. Re/code’s unnamed source report had its authors take pleasure in its reach with an update in the article noting that shares of American Tower and Crown Castle headed lower following the story’s publication . The web site, founded two years ago, was bought by Vox Media last year. One of Vox’s media brands is The Verge. 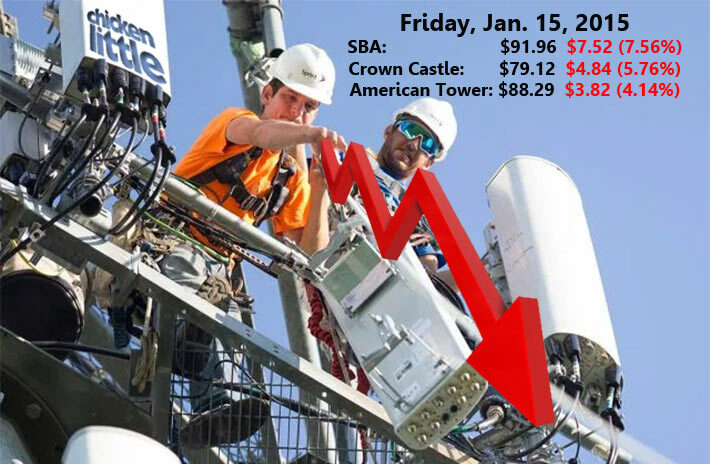 Jan. 16, 2016 – It was red Friday yesterday as the country’s three largest tower companies’ shareholders saw their investments in a free fall based upon numerous unconfirmed media reports that Sprint, drowning in red ink, plans to cut its network costs by relocating its cell sites from Crown Castle and American Tower to spots on government-owned properties, which would cost them considerably less. With U.S. stock and bond markets closed on Monday for Martin Luther King Jr. Day, investors and analysts will have an opportunity to debunk the premise that Sprint will take this path, according to three people Wireless Estimator spoke with at American Tower and SBA Communications who wished to remain unnamed. “I can’t imagine that this report is accurate,” said another. “Think about it; if it made sense to marry up with the nation’s pubic sector to save operating expenses, don’t you think that our tenants wouldn’t have taken this approach years ago? It’s nonsense,” he said, a general consensus expressed by many siting professionals in social media. This process could begin as soon as June or July, according to Re/code, citing unnamed sources. The move, named the Next Generation Network, would result in a wave of network hiccups, Re/code reported. In 2008, Sprint sold nearly all of its cell towers to TowerCo. In 2012 SBA Communications Corp. acquired TowerCo’s towers which included Sprint’s portfolio. It is not known if SBA’s stock plunge, the greatest of the top three public companies, was due to that exposure. However, it did not state whether that information came from their source or if it was speculation by the authors of the story who normally cover mobile tech and product reviews as well as politics and entertainment, but not the siting and leasing environment. Mobilitie, according to Wireless Estimator’s Top 100 Tower Owners list, only has 149 towers. It is known that the company is assisting Sprint with its densification program with small cells, and it’s possible that those small cells, many of which are on utility poles, could be placed on government properties and rights of way. The article, taken at face value, was picked up by dozens of media and analysts who spread the Chicken Little scenario that aerial burials were on their way with government agencies competing with the private sector. Neither they nor Re/code considered a number of factors why it might not be a wholesale shift to government towers, but an opportunity that if there are alternatives that fit their financial model it might be beneficial to relocate a site – a strategy that carriers have been employing for years. And since Sprint said it was determined to attack its cost base, from “snacks to yogurt cups” for employees, according to Chief Financial Officer Tarek Robbiati in an interview with Reuters in November, finding better leasing opportunities would be natural for the carrier. However, they’re not going to save any near-term operating expenses because they’ll be paying for two leases in the same ring location since Sprint still has multi-year contracts with the tower owners, many of them for five or more years. The same tower owners that Sprint could be leaving for what might appear to be greener government grass locations, might actually be owned or managed by their current landlord. For a number of years, tower owners have been providing government agencies funding by acquiring their towers and providing attractive lease-back options to retain their network and existing equipment, and possibly share in the revenue generation, but additional lessees like Sprint pay full freight. 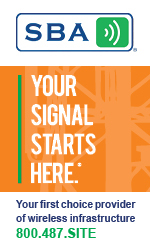 Also, as FirstNet is aware of, a network’s structural backbone couldn’t be accomplished by using government towers, but requires piggybacking upon America’s hundreds of thousands of cell towers and almost $400 billion in infrastructure already in place. If Sprint were to relocate many of their base stations to other towers, contractors would see a windfall of work in new installs and decommissions. The rip and replace needs, nonetheless, would cost Sprint considerably more than they might have anticipated since many contractors would have to pay prevailing wage rates, even on government towers on private property, in most instances. According to Re/code, Sprint’s plans to overhaul of its network is expected to save the carrier up to $1 billion. A greater portion of those trimmed expenses could be from Sprint’s previously announced intentions to cut backhaul costs, by moving away from fiber-optic cables owned by AT&T and Verizon, for which it pays roughly $1 billion a year. The company plans to use microwave technology for its backhaul. Ericsson, who manages Sprint’s network, predicts that it will become the dominant backhaul by 2020, handling backhaul for 65 percent of cell sites. According to PCIA – The Wireless Infrastructure Association, siting on government property is important for broadband growth. In a statement in June supporting U.S. Senator Marco Rubio’s Wireless Innovation Act of 2015, PCIA CEO Jonathan Adelstein said that nearly a third of America’s landmass and thousands of buildings are owned or controlled by the Federal government, and the bill would improve wireless service for members of the armed services, as U.S. military bases fit within the definition of Federal lands and stand to benefit from the clarifications the bill provides. Unfortunately, as PCIA’s members frequently state, and Sprint will be faced with, dealing with state and federal agencies is time-consuming, expensive and frustrating, at best. The Street didn’t see Sprint’s move, as detailed by Re/code, as a positive. The stock closed down 10.03% at $2.87.